“Economy Driven,” developed as part of ARTBA’s “Transportation Makes America Work Program,” has been sent to all members of Congress and more than 35,000 transportation design and construction professionals around the country to emphasize the value and many benefits of transportation infrastructure investment. The publication also was featured as a supplement in the latest issue of ARTBA’s “Transportation Builder” magazine. ARTBA warns, however, that the ability of state transportation departments to complete similar projects in the future could be in jeopardy if Congress does not act soon to find a long-term permanent solution for the Highway Trust Fund (HTF). The latest authorization of federal highway and public transit funding expires May 31. The HTF is the source, on average, of 52 percent of highway and bridge capital investments made by state governments annually. Installation of oversized yellow, diamond-shaped warning signs with solar-powered flashers that have helped reduce fatalities and injuries in South Carolina. Use of accelerated bridge construction in Pennsylvania that allows work to progress concurrently on site and off site so that when the deck is re-assembled at the job site it reduces traffic disruptions, provides a safer environment for workers and motorists, and increases productivity. Development of a mobile app to provide travelers in Montana with real-time information about road conditions, construction projects, road incidents, still-camera images and atmospheric information. 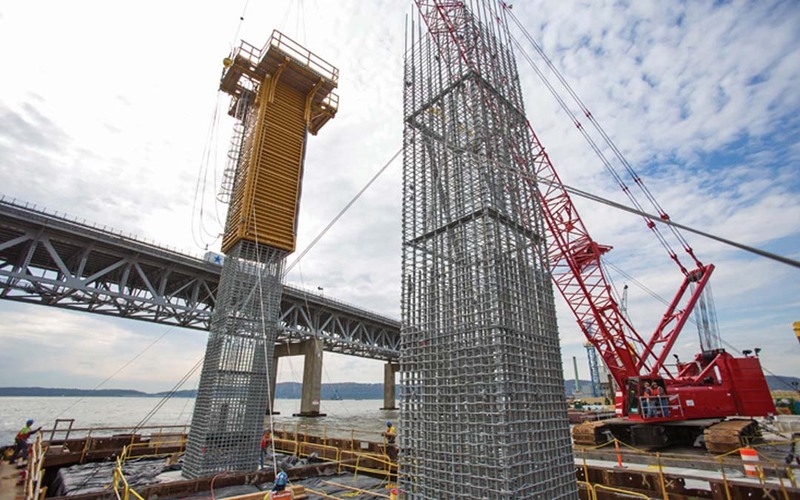 Utilization of one of the largest barge-mount floating cranes in the world—with the capacity lift up to 1,929 tons—that allows the project team to place large pile caps, girders and deck segments while better controlling safety, quality, costs and schedule on the Tappan Zee Bridge replacement in New York.